The Priory Group, the leading provider of mental healthcare in the UK, most commonly known for treating celebrities with addictions, has opened its first Wellbeing Centre in Cheadle, Great Manchester. 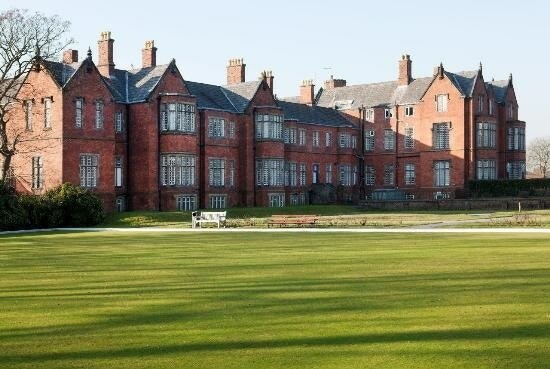 Based in the grounds of The Priory Hospital Cheadle Royal, the Priory Wellbeing Centre Manchester will provide therapy and treatment for a wide range of mental health conditions including depression, anxiety, stress, eating disorders, addictions and obsessive compulsive disorder. The Centre will also provide fast access to affordable assessment and treatment for young people through its Child and Adolescent Mental Health Service, delivering specialist support for issues such as stress, anorexia, OCD, anxiety, autism and concerns around divorce or parental separation. The mental wellbeing of a child is just as important as their physical health. Often young people who suffer from mental health issues, such as depression and anxiety, don’t get the early specialist support they need. The Priory Group has invested £400,000 in the Centre which aims to treat up to 1,000 patients a year with prompt, appropriate therapy and is staffed by consultant psychiatrists, psychologists and therapists, including Clinical Lead, Dr Costas Papageorgiou, a Consultant Clinical Psychologist. The Centre, which has seven rooms for patient consultations, two group rooms and the option of evening appointments, offers treatment and therapy covered by private medical insurance or self-funding. It is fully regulated by the Care Quality Commission. The proportion of adult patients in North Manchester with 'unresolved depression' is almost 20% greater than the rest of England, whilst 18.7% of patients in North Manchester report moderate or extreme anxiety or depression, compared to just 12% nationally. Research conducted by the National Union of Students found that of 1,200 higher education students surveyed, as many as 20% considered themselves to have a mental health problem and 92% of respondents reported feelings of stress and low mood. The main causes of this were found to be course work for 65% of respondents, exams and study were a cause for over half (54%), with almost as many citing financial difficulty (47%). This opening is the latest in a series of Wellbeing Centres launched by the Priory Group, in high streets in Birmingham, Southampton, Canterbury and the City of London. The format allows direct access for the public, but the Priory Manchester Wellbeing Centre also works closely with The Priory Hospital Altrincham ensuring access to more specialist or intensive services if required. At our first clinic in London, assessments of new patients more than doubled in the last year and – due to the current demand for mental health services in Greater Manchester and the levels of inquiries we’ve received already, we are confident we can meet this demand in the North West too. Our ethos has always been to promote the importance of early diagnosis and to support early intervention wherever possible. There are often complex reasons as to why an area sees a higher prevalence of a condition than the national average, but we hope that by offering a friendly and discreet service that is accessible, affordable and convenient for people of all ages, we can play an active part in identifying and addressing these issues and supporting our patients towards long-term recovery.